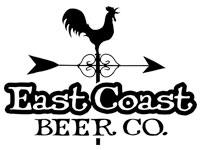 The Sprinkman crew was at East Coast Brewing Co. in Point Pleasant Beach, NJ in December, 2014 to start up a new 30-BBL, 4-Vessel Sprinkman Brewhouse! The East Coast owners converted a former bakery near the New Jersey shore into a craft brewery and taproom. East Coast has been drawing large, thirsty crowds who enjoy their Beach Haus Beer!